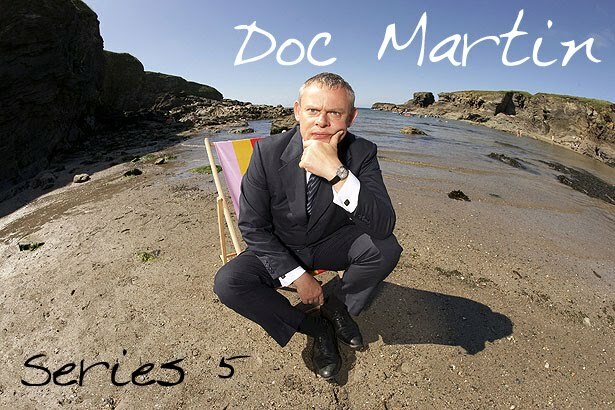 That grumpy bugger - Doc Martin - is back for a fifth series in 2011. The story picks up after the birth of Martin and Louisa's son. Will Martin return to his post as Portwenn's GP? Will fatherhood help the Doc to mellow? Will he and Louisa play happy families? Of course not! The road to happiness will no doubt be fraught with an array of delightfully entertaining challenges. The Doc Martin Series 5 Blog follows the progress of Series 5 from filming to post-episode dissection, and everything in between. It will endeavour to keep you up-to-date with all that's happening in and around Portwenn. Your contributions to the site are welcomed, encouraged and essential. If you have information, tips, photos, a story to tell or a question to ask, don't hesitate to shoot me off an email, or post a comment. The Doc is in! Taken from the ITV Website. Super Sendibo has uploaded this to YouTube for the viewing pleasure of all fans worldwide! Sendibo's other great YouTube videos can be found HERE. Thank you so much for making this available to fans in America! Many thanks to our friends from across the pond for the uploads of these segments. We are at the mercy of corporations and rule limited broadcasters just because of our regions. I find it enormously satisfactory that the British fans recognize our issues and are so very supportive. Cheers to you all! I just purchased series 1-4 DVD set. I love everything about the show, first class production.